Rob Cowan’s father, Henry Shaw Cowan Jr passed away on November 30. 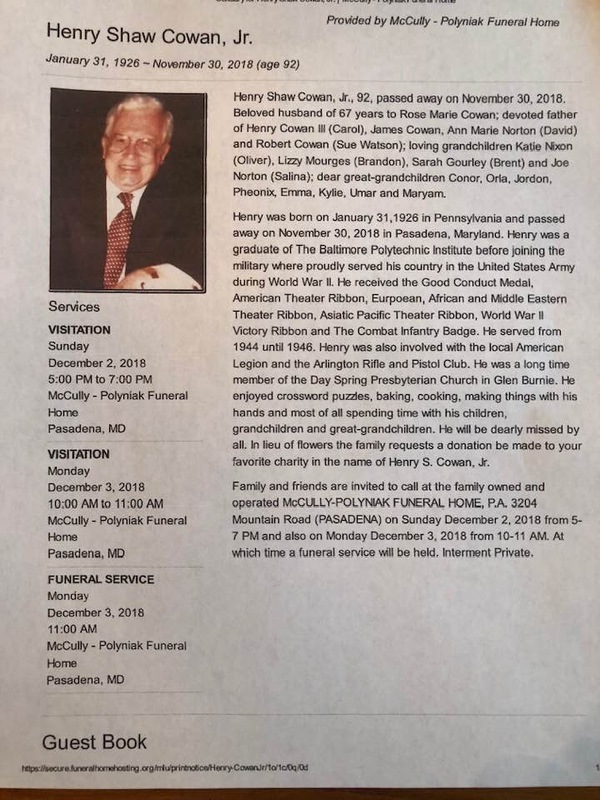 Henry was a WW2 veteran and a 44 year member of ARPC. Henry introduced Rob to the club when Rob bought his first AR many years ago. Please keep Rob and his family in your thoughts and prayers. So sorry to hear about this. Rob, my wife and I will keep your Dad and your family in our prayers.